Kathleen Maier, AHG. PA has been a practicing herbalist for over thirty years. She is currently director of Sacred Plant Traditions in Charlottesville, VA where she offers a Three Year Clinical/Community Herbalist training program. SPT’s free clinic was one of the first on the east coast and is still growing strong. She is a founding member of Botanica Mobile Clinic, which offers their services to underserved populations, as well as first responders in crisis situations. She is president of the Board of United Plant Savers and was the recipient of their first Medicinal Plant Conservation Award. Kathleen’s studies of plants began as a Peace Corps volunteer in Chile and her training as a Physician’s Assistant allows her to weave the language of medicine we know today with traditional energetic systems. She is co-author of Bush Medicine of San Salvador Island, Bahamas. Angel Shockley is a gardener, medicine maker and perennial experimenter. She began gardening as a teenager in her rural Virginia home and has been exploring the green world since. She is the creative force behind Herb Angel and is conspiring with the universe to have as much fun as possible. Heather Wetzel: Heather’s deep love and respect for the green world began early on her family’s farm in remote northern Pennsylvania and she’s been dedicated to walking her herbal path and listening to the plants for the last decade. She earned her herbal certifications from Clayton College of Natural Health and Sacred Plant Traditions where she then worked as apothecary manager and staff herbalist for five years. Heather practices energetic herbology to support women’s and children’s health. But with a master’s degree in education from the University of Virginia, teaching is also a comfortable niche and she offers herb classes in Charlottesville and Northern Virginia through her practice Heather’s Herbals. Mimi Hernandez, MS, RH(AHG), comes from a background as a clinical herbalist, educator, and ethnobotanist. 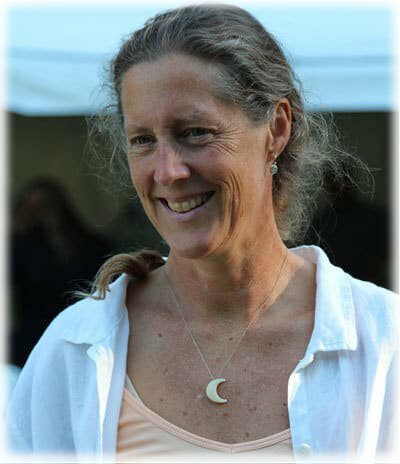 She currently serves as the Executive Director of the American Herbalists Guild and formerly held the position of Coordinator of the Appalachian Center for Ethnobotanical studies at Frostburg State University. With roots in Asheville, NC, Mimi mentors community and clinical herbalists through One World Healing Community network and her formulas are featured through Mortar and Pestle Apothecary. Mimi’s courses balance scientific understanding with traditional reverence and intuitive awareness and she draws upon her rich ethnic background & the Granny healers in her life. Aside from her Latin American Grandmothers her important mentors have included James Duke, Rocio Alarcon, and Simon Mills. Mimi believes that the handing down of plant wisdom is essential and it is her life’s work to advocate for traditional and professional herbal pathways while building cultural bridges of understanding. Lorna Mauney-Brodek is a traveling herbalist, medicine maker, wildcrafter and teacher. Much of her herbwork supports organizations dedicated to promoting diversity, environmental responsibility, and social justice. Growing up “americana,” her health practices reflect the abundantly diverse influences of these lands to blend western medical herbalism, traditional chinese five phase, Ayurveda, and southern folk. Early barefoot adventures in the Appalachian foothills and global wanderings with tent-packing parents led to more formal trainings in plant medicine. She completed an herbal residency with Michael Moore at the Southwest School of Botanical Medicine and her clinical internship at the Blue Ridge School for Herbal Studies. She offers a sliding scale herbal clinic in East Atlanta and leads the Harriet Tubman Free Foot Clinic, and The Herbalista Free Clinic (also known as the Herb Bus.) 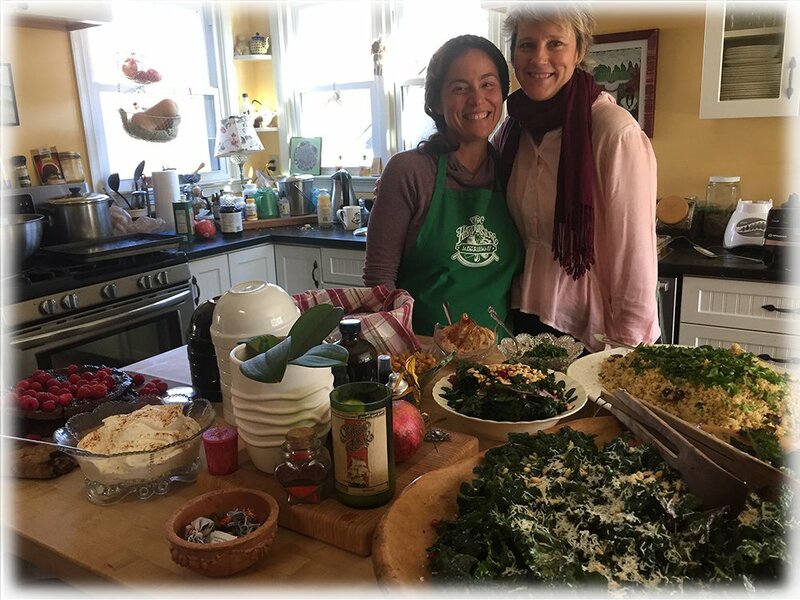 Lorna teaches at various venues around the southeast, including BotanoLogos, the Blue Ridge School, the Homestead Atlanta, and The Herb Kitchen. Shirlea Pemberton is a graduate of the Three Year Community Herbalist training at Sacred Plant Traditions. While attending Sacred Plant Traditions, she taught a day fall and a day winter tree ID course to the Foundations class. She grew up in the foothills of Kentucky, learning the trees, shrubs and herbs at an early age. Because of her lifetime connection to plants in the forest, she decided to attend the University of Kentucky, where she earned a B.S. in Forestry. Upon graduating, she took a position with the U S Forest Service Southeastern Research Station, inventorying the forests of the Southeastern U.S. At the present, you can find her most days walking among the trees somewhere in Virginia. She currently lives in Ruther Glen, VA with her husband, John and dog, Jake. 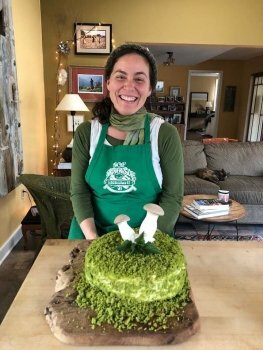 Suzanna Stone is an herbalist in Scottsville VA. She founded Owlcraft Healing Ways where she offers clinical herbal consultations and teaches nine-month herbal apprenticeships and day classes in herbal medicine, traditional foodways, and plant spirit medicine. 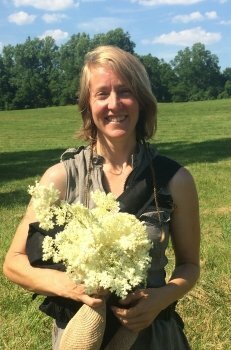 She is a graduate of Sacred Plant Traditions’ clinical training program and now serves as a guest lecturer there and at other herbal schools and conferences throughout the East Coast. Suzanna is also a co-facilitator of rites of passage for young girls with the Living Earth School in Afton, VA. She lives on five acres of plant filled land with her artist/writer partner, their three homeschooled children and various chickens, goats, cats and the canine herbalist Artemis. 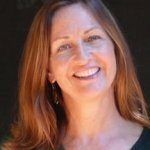 Teresa Boardwine teaches and conducts clinical consultations at Green Comfort School of Herbal Medicine. 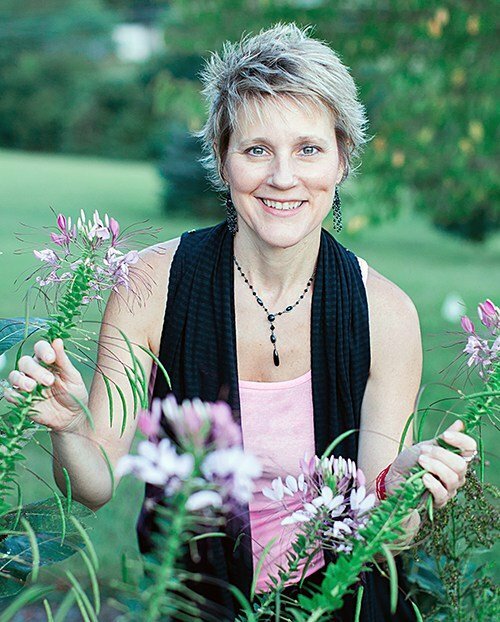 Her passion for connecting people with plants is infectious as she teaches the science and art of Herbal Medicine. 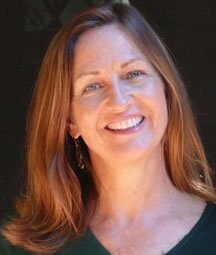 Infused with knowledge gained from California School of Herbal Studies, her work as an herbal educator at Smile Herb Shop and as co- founder/instructor at Dreamtime Center for Herbal Studies, she is an accomplished herbalist whose teachings reflect real life experiences gained by 20 years of clinical practice. Stephen Harrod Buhner is an Earth poet and the award-winning author of seven books on nature, indigenous cultures, the environment, and herbal medicine. He comes from a long line of healers including Leroy Burney, Surgeon General of the United States under Eisenhower and Kennedy, and Elizabeth Lusterheide, a midwife and herbalist who worked in rural Indiana in the early nineteenth century. The greatest influence on his work, however, has been his great-grandfather C.G. Harrod who primarily used botanical medicines, also in rural Indiana, when he began his work as a physician in 1911. His most recent works are The Lost Language of Plants: The Ecological Importance of Plant Medicines for Life on Earth (Chelsea Green, February 2002) Vital Man: Natural Health Care for Men at Midlife (Penguin Putnam, Fall 2002), The Taste of Wild Water: Poems and Stories Found While Walking in Woods (Raven Press, Winter 2003) Transformational Fasting: Spiritual, Emotional, and Physicial Renewal and Detoxification Through Fasting (Penguin Putnam, Fall 2003). Phyllis D. Light is a fourth generation herbalist and healer, consultant, and author. 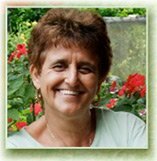 She has studied and worked with herbs, foods and other healing techniques for over 30 years. Her well-established reputation and knowledgeable expertise has allowed her to travel far a field of her Southern Appalachian home, lecturing and teaching about herbs, integrative and complementary healthcare and traditional folk healing techniques. Consequently, she has taught and lectured at herb schools, universities, medical schools, hospitals, conferences and natural health food stores across the country. 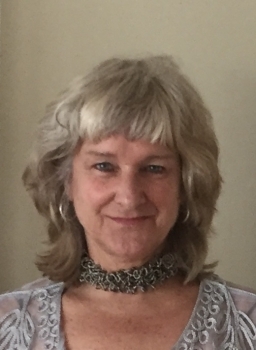 Phyllis is an American Herbalist Guild professional member, a national CEU provider for nurses through Diversified Nursing Services, and Director of Herbal Studies at Clayton College of Natural Health. She is contributing writer to several consumer magazines, has co-authored a paper for a medical journal, and is currently working on her book Southern Folk Medicine: Yesterday and Today which explores the principles and practices of Appalachian Folk Medicine. Holly Poole-Kavana is a practicing herbalist, medicine-maker, and educator based in Washington DC. An early affinity for plants eventually led her to earn a bachelor’s degree in botany from Cornell University, and she continued her obsession by studying herbal medicine at the Pacific School of Herbal Medicine, apprenticing with herbalist 7song, and completing the clinic 2 program at Sacred Plant Traditions. In 2010 she started Little Red Bird Botanicals, offering an herbal CSA, sliding-scale practice, and frequent classes on sustainable herbalism and botany. Holly also works as an out-of-hospital birth assistant at two DC-area birth centers. Robert Dale Rogers has been an herbalist for over 45 years, specializing in the plants and mushrooms of the boreal forest. He has a bachelor of science in botany and spent eighteen years in clinical practice. 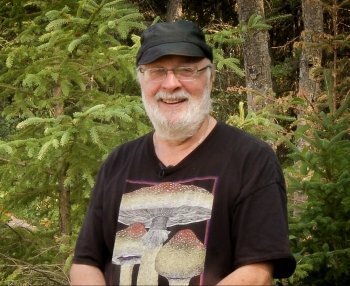 Robert is the author of over forty books, including The Fungal Pharmacy and Mushroom Essences, and teaches earth spirit medicine at the Northern Star College in Edmonton, Alberta Canada. Robert is a long-standing professional member of the American Herbalist Guild, and an assistant clinical professor in Family Medicine at the University of Alberta, his alma mater. In 2015, he was honored as an Herbal Elder of Canada by the Canadian Council of Herbal Associations. Robert conducts plant and mushroom walks throughout North America, and writes occasionally for the magazine Fungi, and the Journal of the American Herbalist Guild. He lives in Edmonton with his beautiful and talented wife Laurie, and out of control cat Ceres. Matthew Wood has been a practicing herbalist since 1982. In a period when many authors and lecturers are merely “arm chair herbalists” who offer theories and opinions based on book learning, and others have turned to the exotic traditions of India or China , he has been an active practitioner of traditional Western herbalism. He has helped tens of thousands of clients over the years, with many difficult health problems. While Matthew believes in the virtue of many other healing modalities, he has always been inspired to learn, preserve, and practice the tradition of herbal medicine descending to us from our European, Anglo-American, and Native American heritage. He is a member of the American Herbalists Guild (registered herbalist) and has earned his Masters of Science degree from the Scottish School of Herbal Medicine (accredited by the University of Wales). Matthew has lectured in all parts of the United States , from Georgia to Maine , New York to California, and Santa Fe to Sperryville, Virginia. He has also taught in Canada, Scotland, England, and Australia. He is known throughout the world as an excellent teacher of herbal medicine. He is also the author of four acclaimed books on herbal medicine, published by North Atlantic Books, in Berkeley, CA. Many of our graduates teach here at Sacred Plant Traditions as well as other venues.